Will you get a call from a debt collector? Did you know that if someone dies with unpaid bills like a balance on a credit card account, a family member or close friend will get a call or letter from a debt collector. A few years ago, the FTC (Federal Trade Commission) issued new guidelines related to this subject. The guidelines “widen the universe of people who could receive collection calls or letters”. This makes it very important that anyone receiving such a call or letter knows his legal rights and obligations. 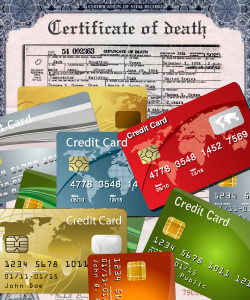 Debt collectors read the obituaries and then check to see whether the person who just died has any surviving relatives. If so, they immediately begin sending out letters or making phone calls and harassing them for whatever is owed. Rules vary from state to state but, in general, here are a few things that usually apply. Family members or friends are not obligated to pay out of their own pockets for debts incurred by a deceased person. If a family member or friend has co-signed a credit card or loan application with the now deceased person, that relative or friend is probably obligated to repay the debt. If the deceased left a will and the estate is in probate, debt collectors can attempt to collect their money from the assets of that estate. Assets that are specifically bequeathed to someone or that were jointly owned by the deceased and another person generally go to that person outside of the estate and are usually not reachable by debt collectors. In the 10 community property states, assets are generally considered joint property and can’t be touched by a debt collector. What does this mean for you? If someone close to you dies and you are contacted by a debt collector, don’t give that person any information or commit to anything. See assistance from a local credit counselor or attorney to get guidance on how to proceed. Otherwise, you may find yourself paying money to a debt collector unnecessarily. For more information about settling an estate, go to www.diesmart.com. This entry was posted in Settle an Estate, Uncategorized and tagged debt, decedent, diesmart, estate, Probate, trust, will on September 25, 2016 by Minna Vallentine. A Ca nadian, Peggy Bush, widow tried to get her deceased husband’s Apple ID password so she could continue to use apps that resided on their shared iPad. She ended up being told by Apple support that she would have to produce a court order first. Her daughter took up the fight and, after several weeks of customer support calls, writing to the CEO and going to the media with the story, Apple finally agreed “to help the family with their issue”. Sounds good, right. The problem is nobody is sure what this means. Will Peggy get access to her husband’s account? Nobody knows. 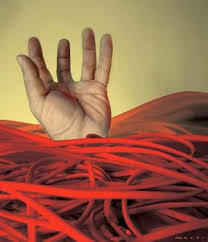 When most people are trying to get their affairs in order, they think about the tangible things they own. They don’t think about their digital estate and how to provide access to online accounts for their heirs. Although it is stated as not being legal in the terms and conditions of most online accounts, providing the user name and password for each account will enable your executor or other family member to access your accounts, close them, transfer date or even continue to use them. 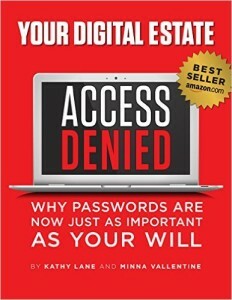 To get more information about how to manage your digital estate, check out this book: ACCESS DENIED. You’ll not only find valuable help but worksheets you can use as well. Don’t leave a mess for your family. Get all of your affairs in order now, including those related to your online life. This entry was posted in digital assets, Uncategorized and tagged Access Denied, Apple, diesmart, digital estate, Probate, will on January 24, 2016 by Minna Vallentine.